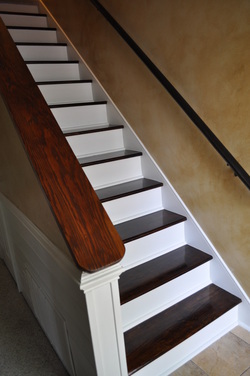 the builder used bull nose wood stair tread. 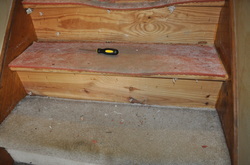 I started off with ripping all the carpet and padding out. Then I pulled off the tack strip and pulled out the staples and nails that were on the tread. After you have removed all staples etc. 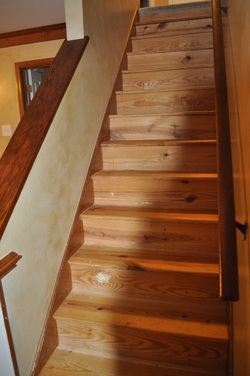 from the stairs you are going to sand all the junk off this also helps to open the pores of the wood to accept the stain better. 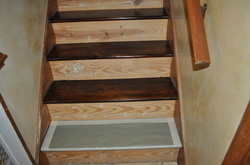 Once all the treads are sanded clean up all the sawdust and wipe them down really well so they are nice and clean. 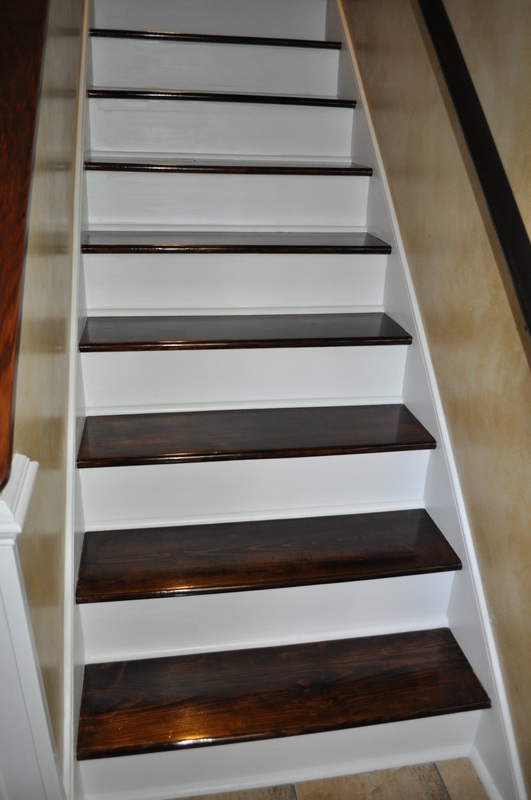 Now you are going to apply the stain. 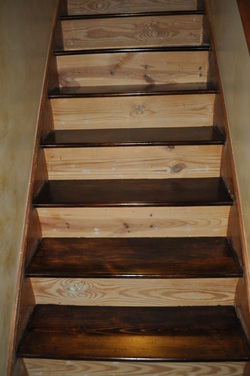 Apply the stain to every other tread so that you can still used the stairs to go up and down. 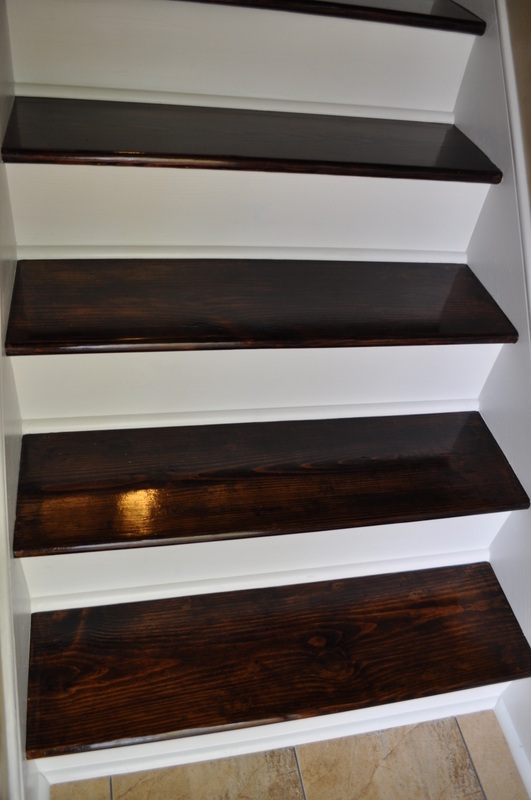 I applied two coats total of the Dark Walnut stain and and wiped off (follow the directions on the can) and then sealed them with 3 coats of Polyurethane. 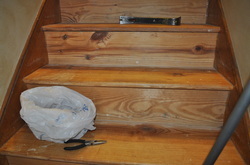 Once I finished with every other stair I did the ones I skipped over before. applied I covered all the treads. 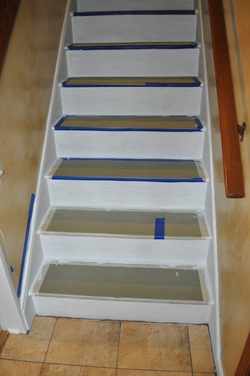 and Caulked all the seams.